The more you work on IT, the less you easily take in new technologies. On the one hand, you learn that a lot of what you hear about new tech is nothing but buzz and on the other hand you realise that new systems finally leave behind many of the lessons learnt from the old technologies mainly from day to day operations. Two years ago we switched our timesheet tool to a cloud based service. Having cloud based systems was “in” three or four years ago (maybe it still is) and after resisting for a while, we finally decided to move to the cloud and take advantage of all those things that are said about these systems: updates, service availability, support, operational continuity, etc. Still, today, after 2 years, we have not been able to replicate to 100% the integration functionality with in-house systems as we already had before switching to the cloud. This system operation still has a lot of room for improvement. Processes are going to change and that must be taken into account. The cloud based systems must have APIs that allow extracting the information into the in-house systems and thus generate reports. Remember that reports generated by these systems not always deliver the information needed nor display it as regularly used. Every now and then the information from the cloud will be integrated with other systems, then you should find a system that is capable of doing so or have a backup plan to achieve this. Indicators must be established for the internal monitoring dashboard and measure the use of these systems. This will help getting full perspective of the features that are being used and therefore avoid paying for features probably nobody is using. Finally, though cloud based systems have support, it is imperative to have a mechanism to check how many problems is the vendor solving. This will show how much money is being saved as well as how good the service is. New technologies must be evaluated not only for what they promise they will do, but for the operation tasks they will change, tasks old technologies already know by heart. 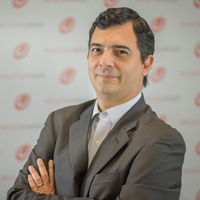 Lazaro has served as Vice President of Operations of Inflection Point since the company's inception in 2003. He has a Master of Engineering in Information Systems and more than 20 years of experience in the industry. He is an avid reader, volunteer lecturer and philanthropist and has written some really good posts for our blog.